I did a shopping trip at CVS/ Pharmacy and it consisted of only two L’Oreal Youth Code Serum packs. The relevant promotion running at the time was “Spend $30 or more on L’Oreal products and earn $10 in CVS Extrabucks rewards”. 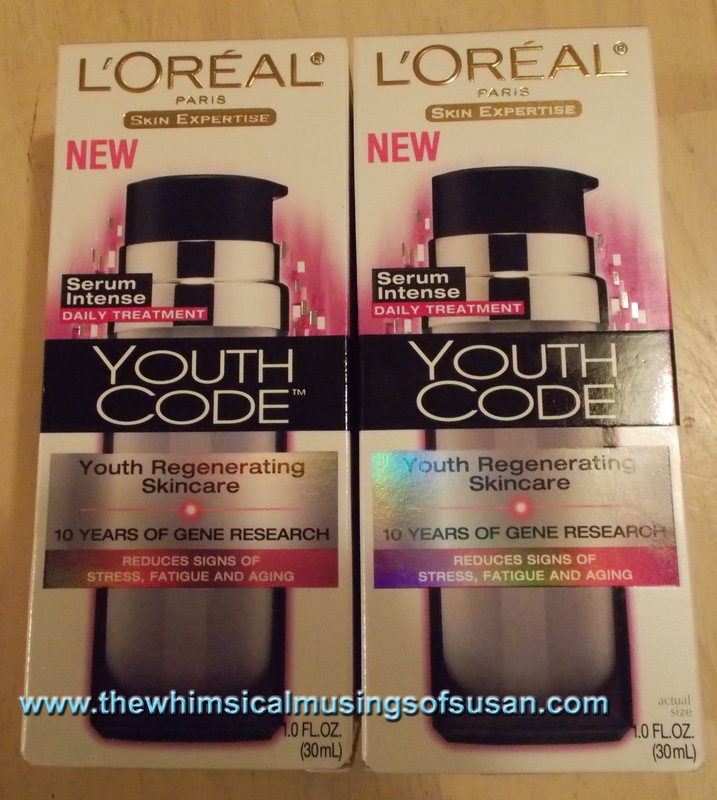 Also, L’Oreal Youth Code Serum was on sale for $19.99 each. The promotion was active from Sunday, January 6, 2013 through Saturday, January 12, 2013. I screwed up in a few ways with this transaction and ended up spending a little bit more out of pocket than I really should have. The first screwed up is improper planning and disorganization. I have a little problem with procrastination and sometimes like to wait until the last day of the sale to make purchases. This is not good because you run the risk of the product being out of stock and having to request rain checks, etc. Since, I was in a rush, I didn’t write the transactions out on a sheet of paper and make calculations ahead of time. There was no rhyme or reason to a few CVS transactions that I have completed in the past week. But that’s alright. I also took advantage of a sale on Roc Retinol products. Had I completed the Roc Retinol transaction first and then used the $17.00 CVS Extrabucks reward from that transaction towards the L'Oreal Youth Code transaction, I would have only paid $23.38 versus $26.07. The other way that I screwed up is that I did not bring my reusable bag with me on the trip. For those who don’t know, CVS has a reward program called the Green Bag Tag. The program allows customers to earn credit towards Extrabucks every time they use reusable shopping bags. It was in my car for crying out loud! I didn’t realize it until I was already at the register. But that’s okay. Everyone makes mistakes and we learn from them (hopefully). One thing I would suggest when purchasing these products is to hold onto your receipts for at least a few months. The reason being is that sometimes the manufacturers have mail-in rebates on these types of products. This is another great way to save money on shopping hauls. You usually need your receipt and/or the original UPC cutout from the product box.